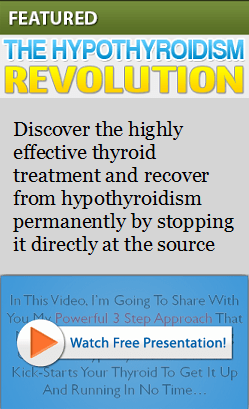 Most people with hypothyroidism have to take a prescription medication to replace missing thyroid hormones. It is usually taken in the morning up to one hour before breakfast. 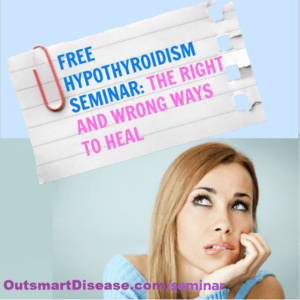 However, the problem is that memory issues are one of the hypothyroid symptoms and some patients often just forget to take their meds. It gets even more complicated if you have to take more than one drug at a different time of the day. For example, Synthroid in the morning and Cytomel divided in 2-3 doses throughout the day. 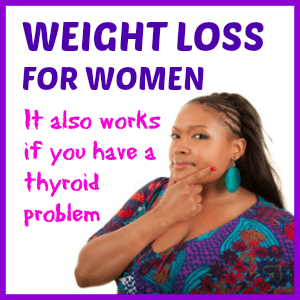 Taking your thyroid medication consistently and every day exactly as your doctor prescribed is extremely important for your hypothyroidism treatment to be effective. Factors like when you take your thyroid drugs, how you take it, how long you wait before eating and what foods do you have for breakfast can affect how your body absorbs the medication and how well it is going to work for you. 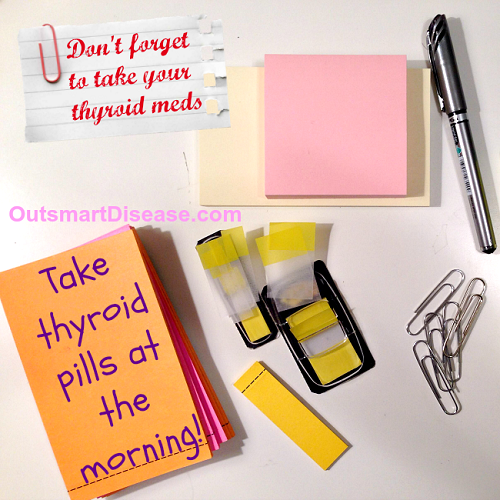 Today I would like to share 8 out-of-the-box ways found to be very effective by other patients on how to remind yourself to take your thyroid drugs on time and never miss the dose. 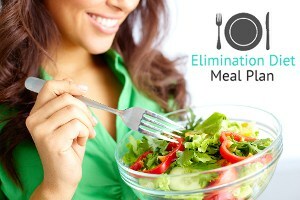 Many patients create a certain routine that helps them to take it the same way each day. 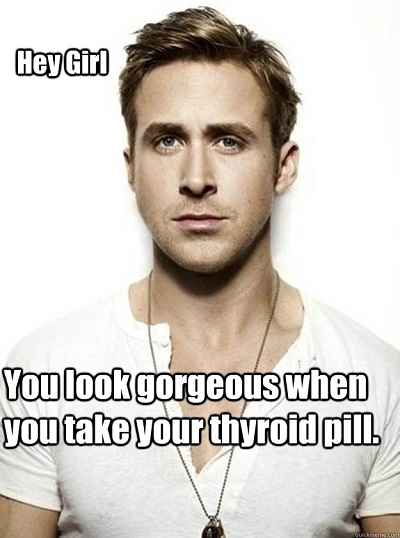 Number 6 is my personal favorite because it is probably the most effective medication reminder but also… very romantic (and no it is not the one with Ryan Gosling). A simple Google search revealed that there are all kinds of medication reminders available: from pill dispenser, alarm watch, pill box and alarm timer to even a vibrating watch. 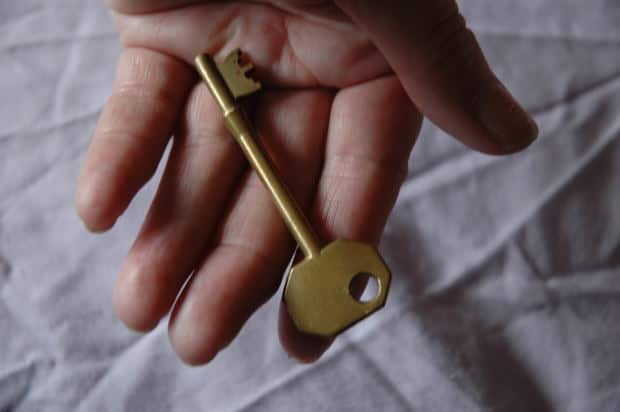 They are great if you just want to place them next to your bed together with your medication and some water, however you still have to rely on your memory and some of them may come short when you split your dose and have to take it at different times. It is very convenient to use a weekly pillbox to see exactly where you are with your doses – and if you’ve missed any. However, if you want bring it to another level and give it a personal touch, go with a pills bag. 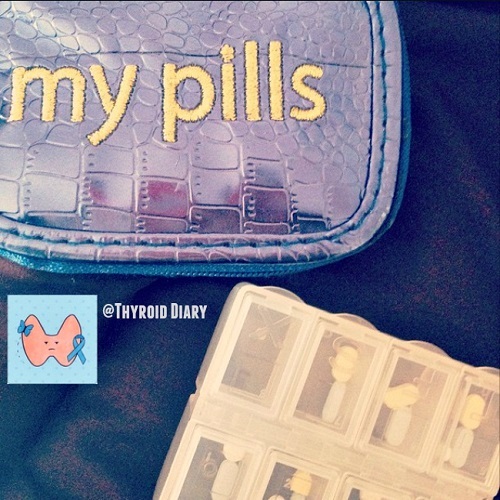 “The one thing I enjoy about my thyroid pills is they’re always pretty colors – like pastel yellow or blue. And thankfully, they’re also small! The pill case helps to keep everything organized and serves as a reminder itself like LOOK AT ME, DON’T FORGET ME. I used to set an alarm for my pill, but that got annoying. 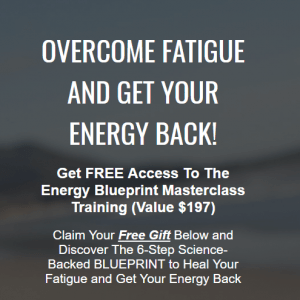 If you have to be motivated to improve your compliance in taking your thyroid medication this tip may work the best for you! Just put Ryan Gosling’s picture next to your bed or hang it on the wall so that you can see it first thing in the morning when you wake up. Nowadays we are so attached to our phones that using it as a pills reminder can become natural to many of us. You can just set up a phone alarm or reminder but the geekiest option is to use an Android or iPhone app. 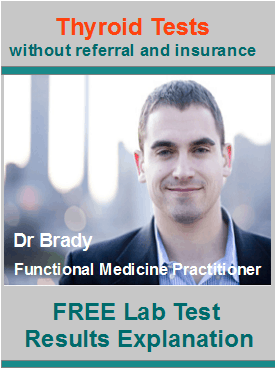 In fact, there are 100+ mobile apps that can help you to take your thyroid medication on time and most of them have a free version. 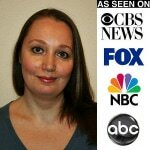 Some of the most popular apps are Med Minder, AnyTimer Pill Reminder and Med Helper. 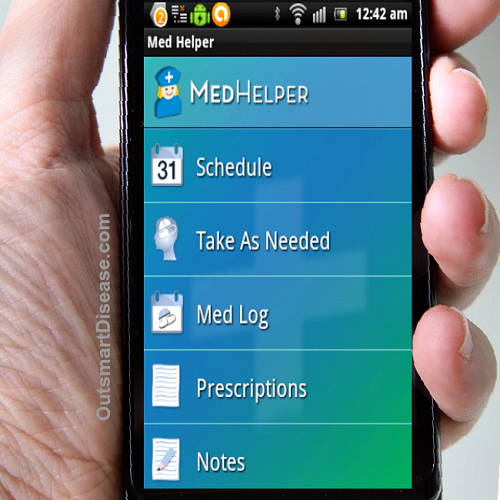 For example, Med Helper lets you create a schedule not only for you but for your whole family. 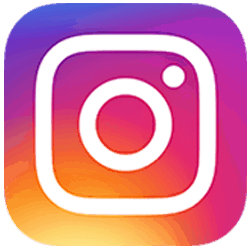 The app keeps records of all your medications and dosages, tracks inventory and refills, you can link your medication to prescribing doctors, pharmacies and appointments. You can ask your family or friends to give you a reminder call but when this is not an option… Did you know that there is a service that for $20 per month will call you at the set time and will remind you to take your pills? Yep, it exists and is called Pills Reminder Service. 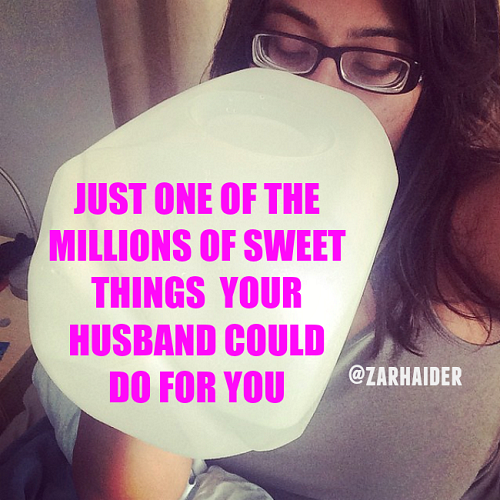 “This is the gallon of water I keep next to my bed. Every morning my husband wakes me up to take my thyroid medication. 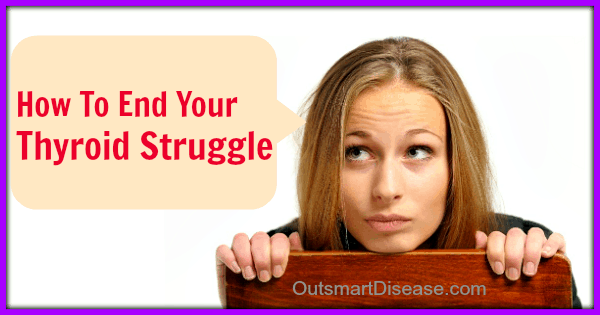 Fun fact about thyroid: it affects your memory. So *remembering* to take a pill every morning can be tricky. Use stickers if you can remember where you placed them or just place them everywhere. I place my sticker on the entrance door and it reminds me in case I forget to take my thyroid meds before I leave the house. Other alternatives could be your fridge, bathroom mirror or computer screen. Put a big picture on the wall. Here is a motivational and a reminder idea two-in-one. 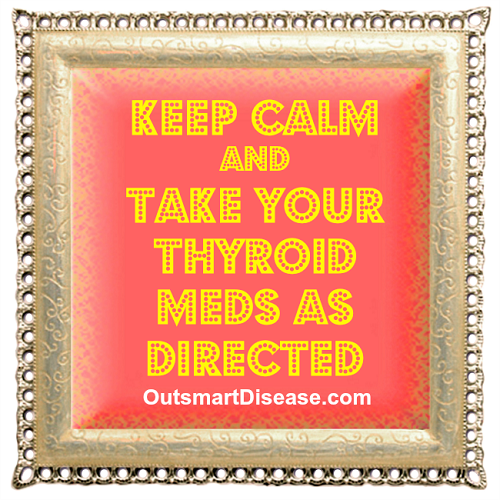 The key is to choose a thyroid medication reminder that works for you. Have fun!